Let’s go to the opera! LIVE IN HD live Broadcast from Metropolitan Opera in New York, broadcasting at the movie theaters worldwide. 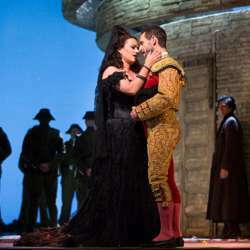 Drama, passion, scandal - Carmen, one of the most popular operas ever, has it all! Approx show time is 3 hrs 40 min. After the opera we'll get together at one of the mall's restaurants (let's decide after the show which one to go to).